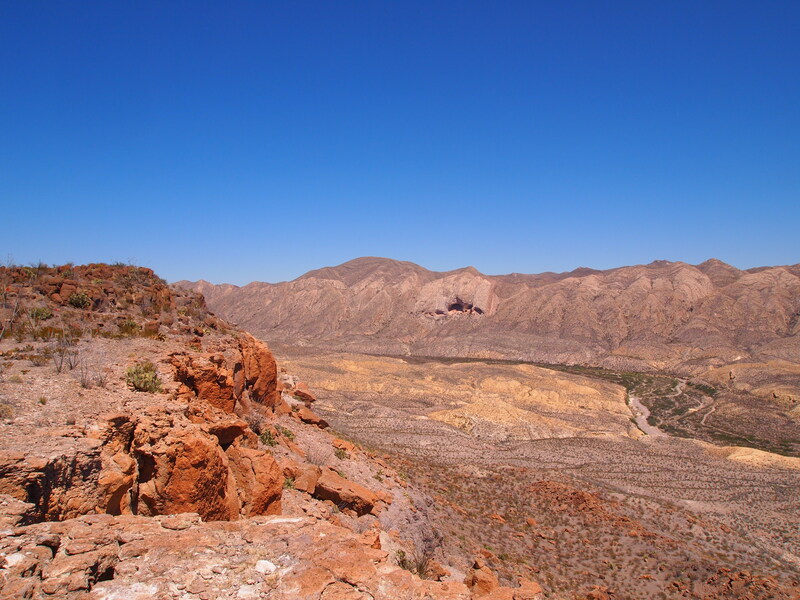 Although we are within reach of two national parks, I have wanted to visit Big Bend Ranch State Park for a while. I didn’t know about the park until we moved to Marfa but I’ve been intrigued since we drove alongside it when we toured the River Road back in October and a friend of ours visits the park frequently, so I had to see it. The park is incredibly remote. It was an hour drive from Marfa to Fort Leaton, where we paid our entrance fees ($5/person), and then 3 miles to the turn-off. Once we turned off of FM 170, it was another 10 miles down a dirt road to the park entrance and 17 more miles to the Sauceda Ranger Station. We stopped at the ranger station to grab some trail maps and learn a bit about the park’s history. 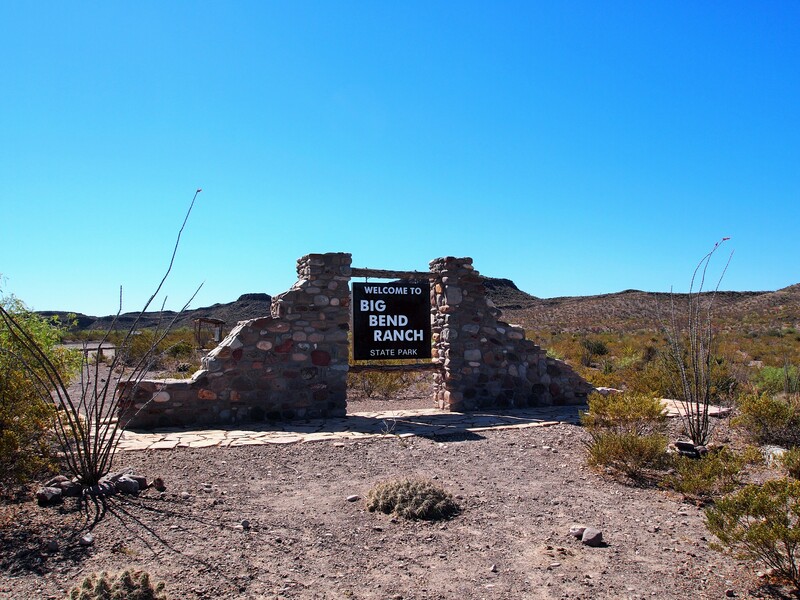 The park was once a working ranch; in fact, it has been several ranches over the years and many of the names within the park pay homage to that history. The park began humbly as the Chillicothe Ranch with only a few tracts of land. Owner, George A. Howard, bought the area that is now the Sauceda ranger station in 1910 to form the Chillicothe-Saucida Ranch. (The spelling has changed over time.) He moved to Marfa and sold the ranch to the Bogel brothers. Between 1915 and the Great Depression, the Bogel brothers added more land to the ranch, eventually owning 38,000 acres. Unfortunately, by 1934, the Bogels had to sell and the land ended up with the Fowlkes, a well-known family in West Texas. Under the Fowlkes brothers, the ranch grew to nearly 300,000 acres. 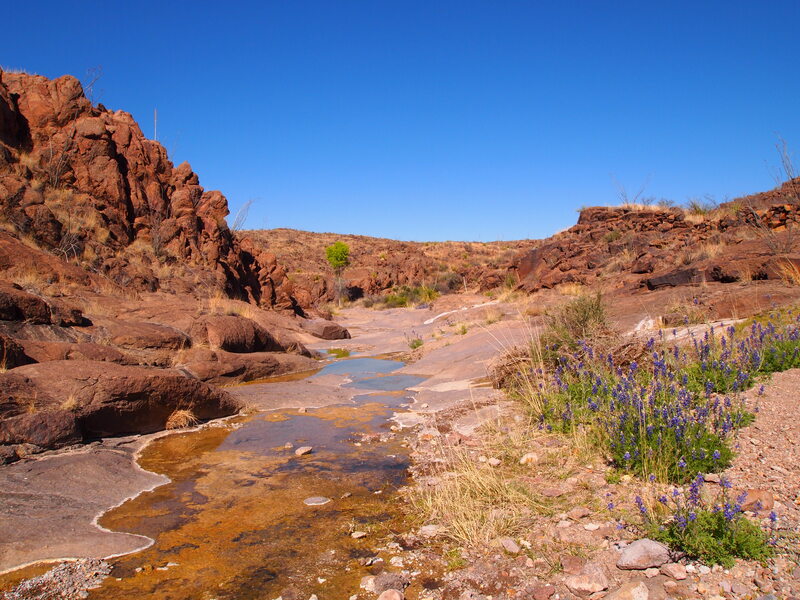 Along with raising sheep and goats, the brothers tried to improve the ranch by building wire fences, stone dams for water, and water pipelines to transport water to the farthest reaches of the ranch. Again, events conspired to force the Fowlkes brothers to sell and in 1958, the ranch passed to a wealthy Midland oilman and lawyer, Len G. “Tuffy” McCormick. 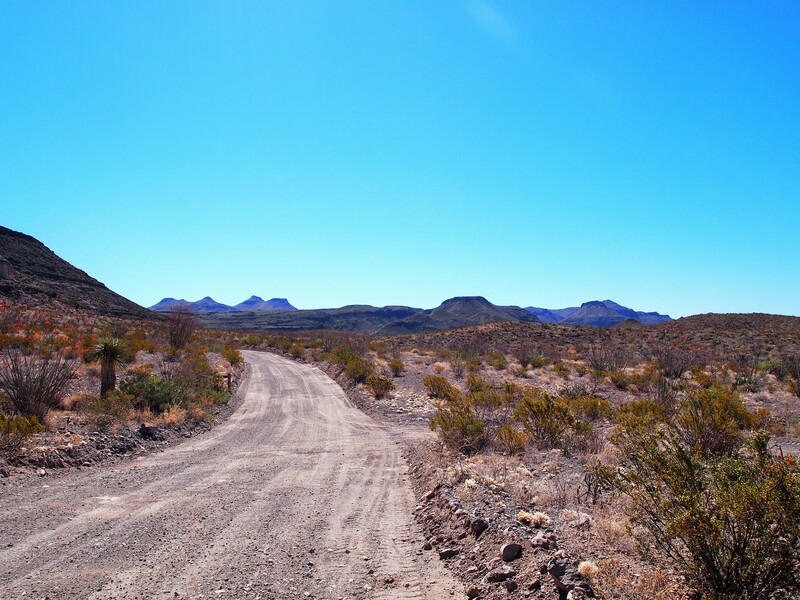 It was McCormick who dubbed the land Big Bend Ranch and granted the Texas Highways Dept. an easement for the road which became the Camino del Rio or River Road. In 1969, Robert O. Anderson became the owner and ran a successful cattle company, Diamond A, from the ranch. The brand sign of Diamond A is still visible on gates in the park. In the early 1980s, Anderson sold half of his interest in the ranch to Walter Mischer and together they marketed the ranch as a private hunting reserve. 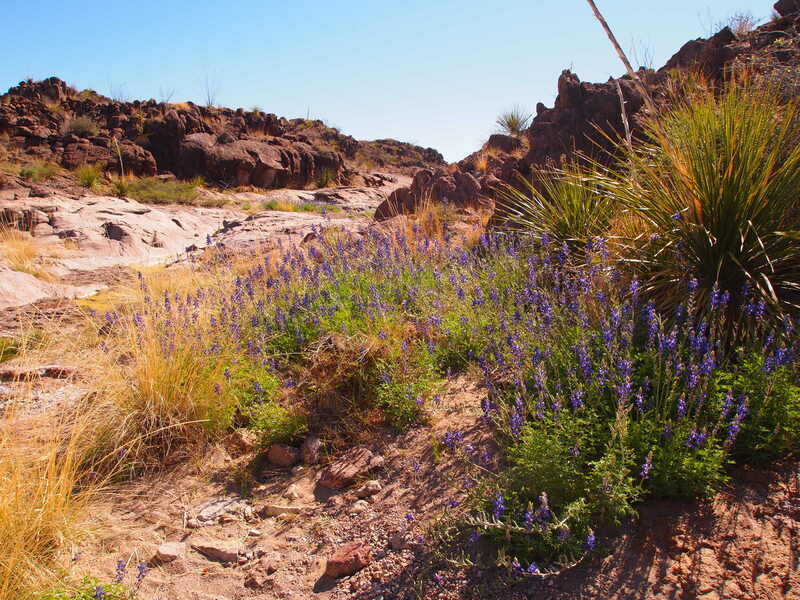 With the efforts of many land conservationists, the Texas Parks and Wildlife Department was finally able to purchase the land from the Michers in 1988 and create Big Bend Ranch State Park. However, it was quite some time before the park was open year-round to visitors. 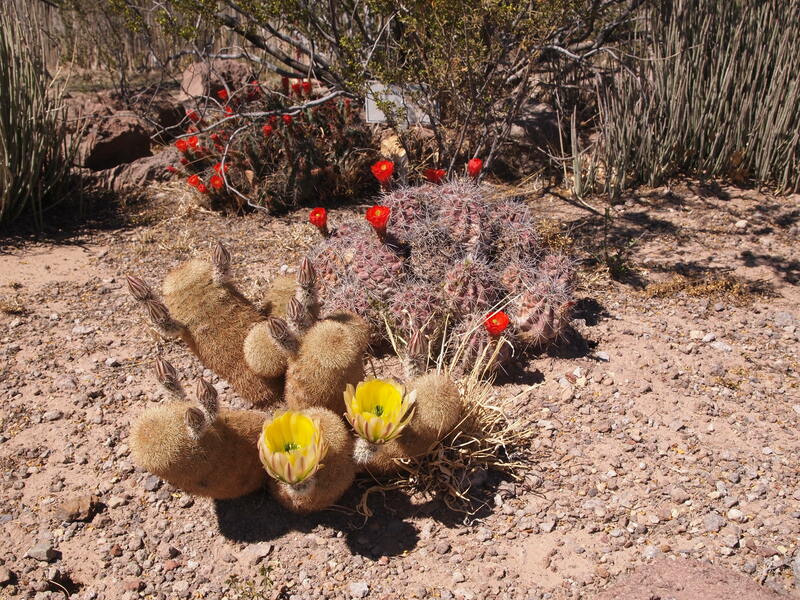 Although the park opened in 1991, it wasn’t until 2007, that the public was given full access. We decided to squeeze in two hikes – a 5 mile round trip hike to the West Rim Overlook and a 1 mile round trip hike to five tinajas. We tackled the longer hike first. 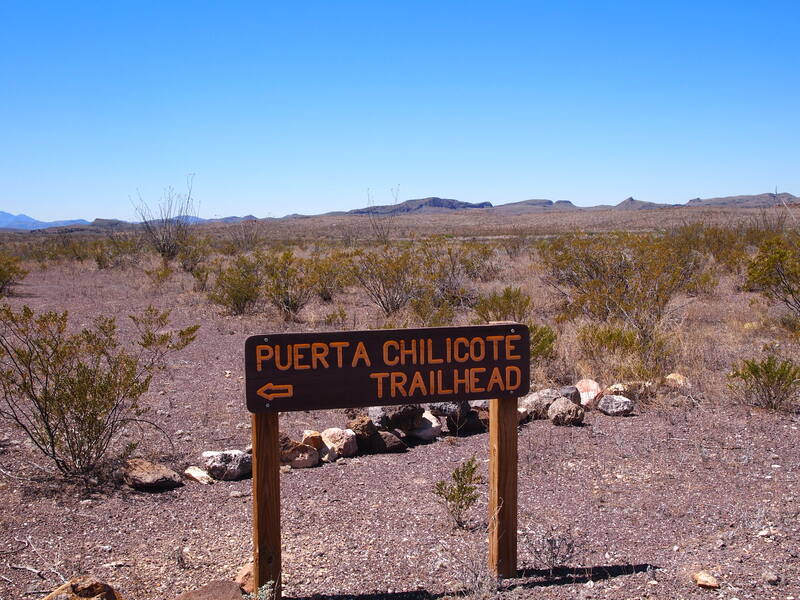 We began at the Puerta Chilcote Trailhead, the only people in sight. It was a bit terrifying at first to realize how isolated and alone we were, but as the hike got underway it was easy to appreciate our solitude. 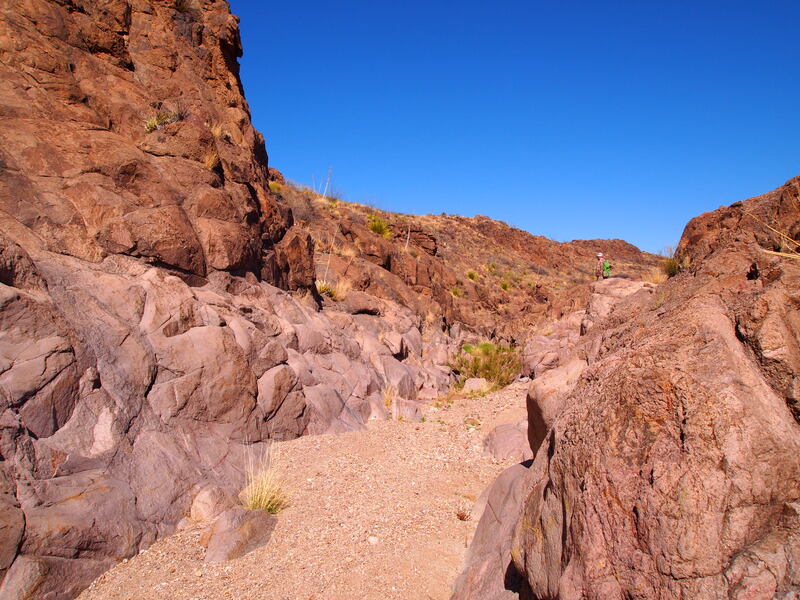 Yes, we were completely alone and out of reach, but we could also get a true sense of how it would feel to cross a desert or blaze a new trail. It becomes thrilling and rather intoxicating. Plus, we were inundated with beauty everywhere. However, this intoxication did not erase the effects of the sun. The park’s peak season is November to April and after our hike I know why. Even though the temperature was relatively cool (high 60s) and there was a slight breeze, the persistent rays of the sun inevitably took their toll. We reached a nice overlook near the end of the hike, and I was tempted to call it quits and accept the view from that spot. 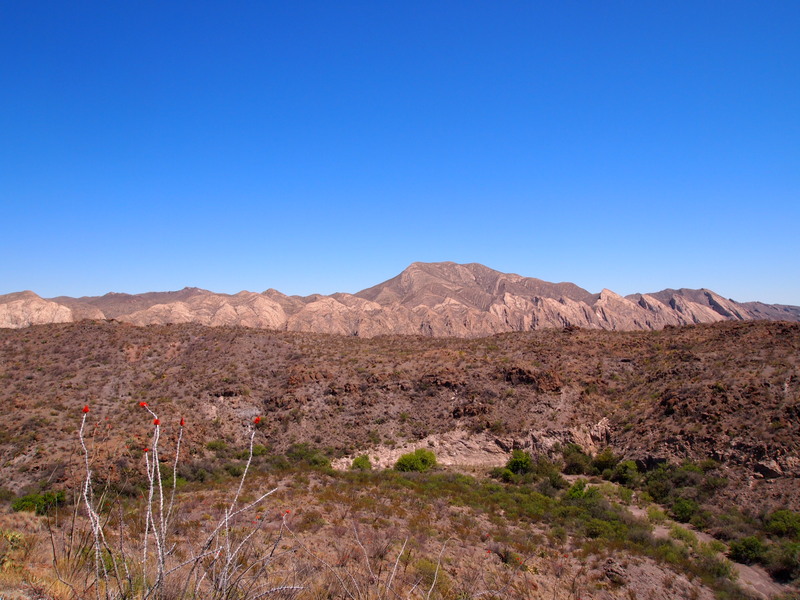 We pressed on through one more valley and a dry creek bed, up one more ascent to finally reach the spectacular view of Fresno Canyon and El Solitario. 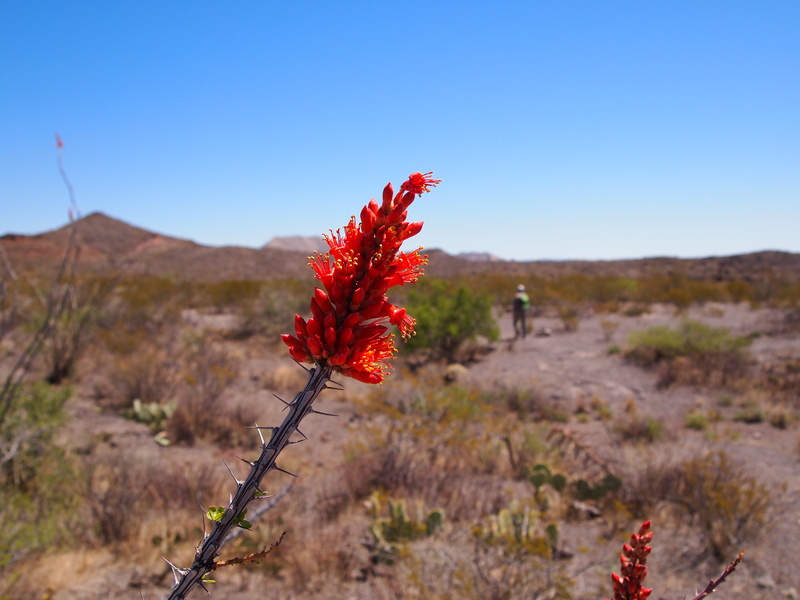 I’ve been waiting for ocotillo blooms to appear! Apparently the blooms can be made into a tea which tastes similar to hibiscus. As expected, the view from the actual overlook was far superior to the one I had hoped was the overlook. 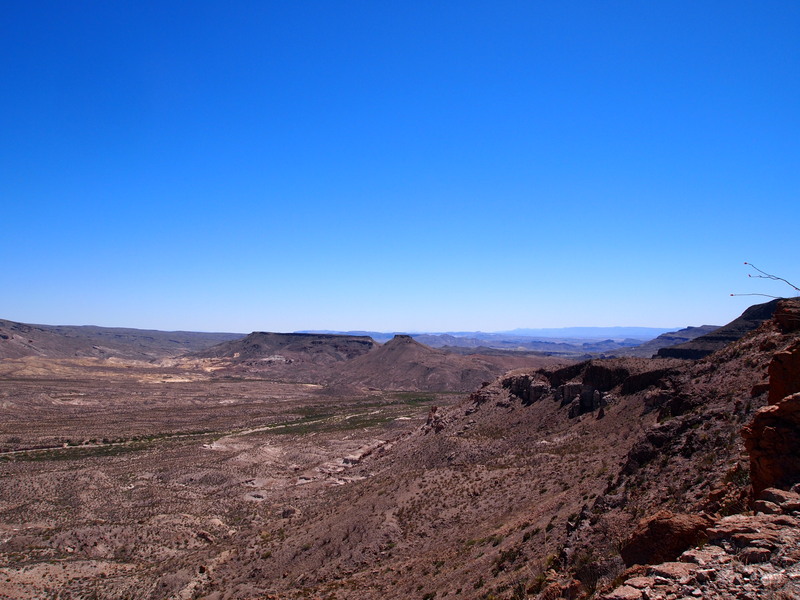 We had a clear view of Fresno Canyon below and El Solitario ahead. 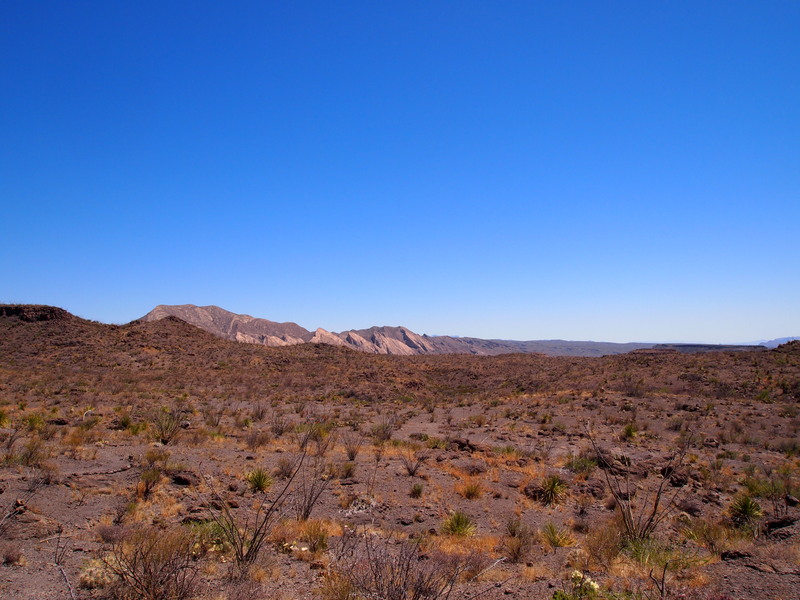 El Solitario appears to be a small mountain range but is actually a dome uplift created by magma pushing upward and displacing the overlying rock. Over time the dome’s rocks eroded and collapsed leaving behind a caldera. 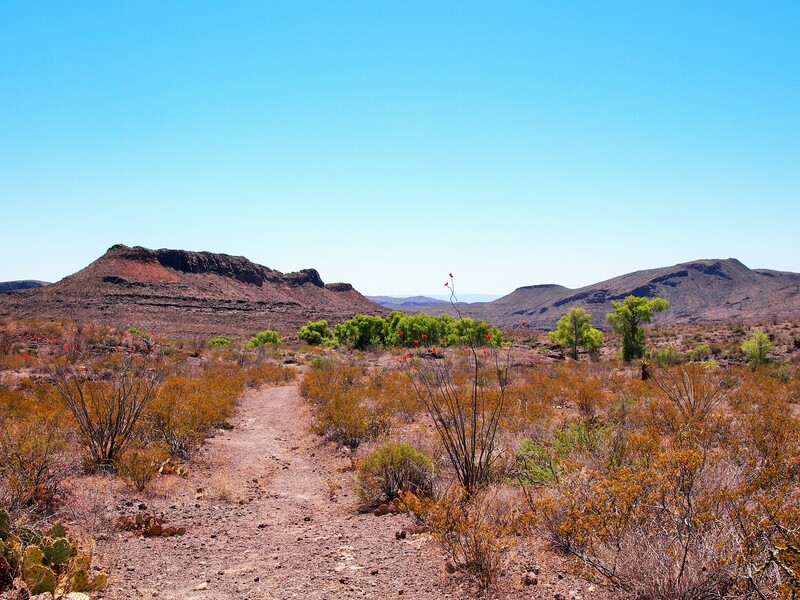 El Solitario is the park’s most well-known and unique feature. It’s “flatirons” are impressive from a distance and even more magnificent from the overlook. We had our snack at the overlook and then turned around for the return hike. Boy, was I ever happy to see our car in the distance as we neared the trailhead. 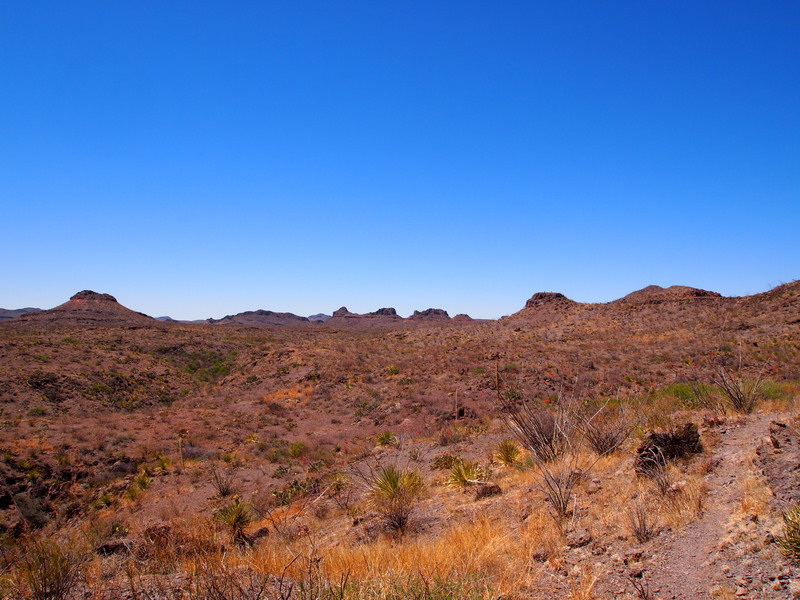 Looking east toward Big Bend NP and the Chisos Mts. 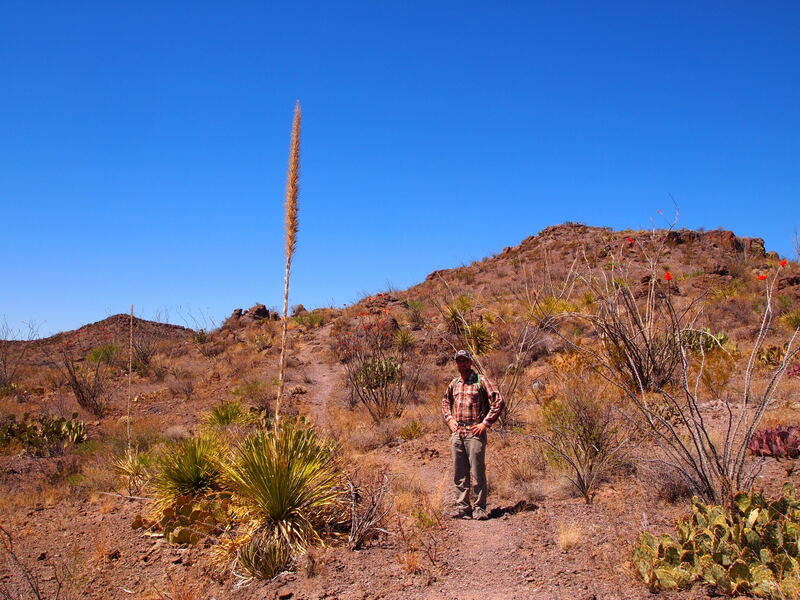 Our second hike to Cinco Tinajas was much shorter, yet I still felt completely depleted from our first journey. 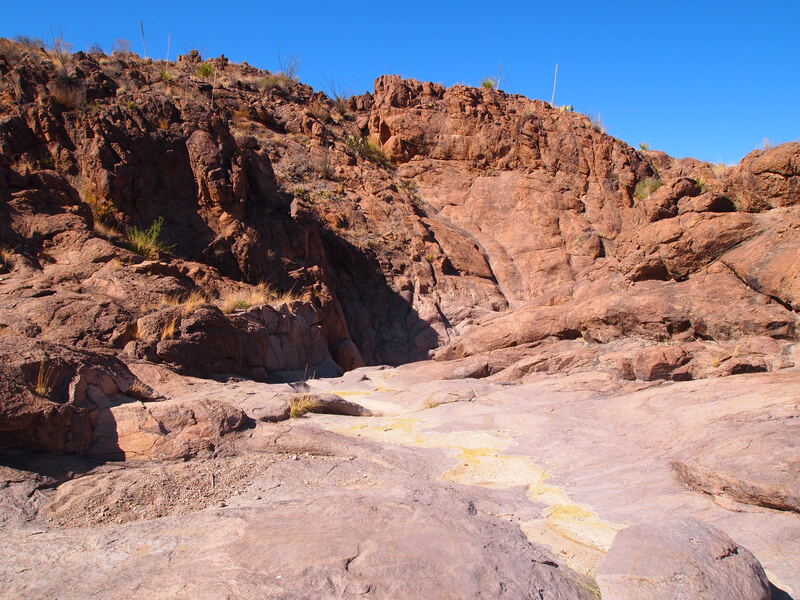 However, I have wanted to see the tinajas (rock basins filled with water) that appear in both the state and national park for quite some time so I decided to go through with it. 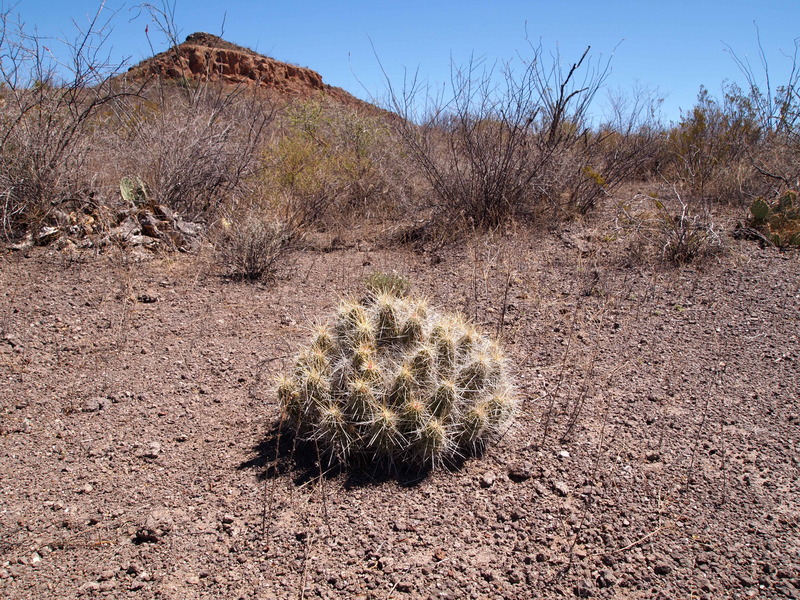 We hiked the short half mile down to the tinajas and were disappointed to find that they were mostly empty. There was some water, but the basins themselves were empty at the upper level. I was so exhausted that I didn’t have the energy to climb through the slot canyon to see if the lower pools were full. 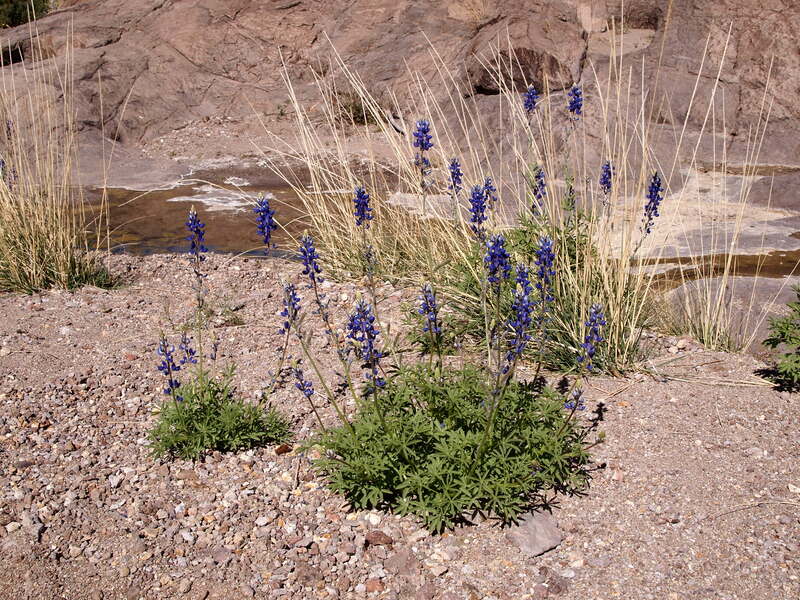 The Big Bend bluebonnets which littered the banks were my only consolation. I was thrilled to see them! Big Bend Bluebonnets! 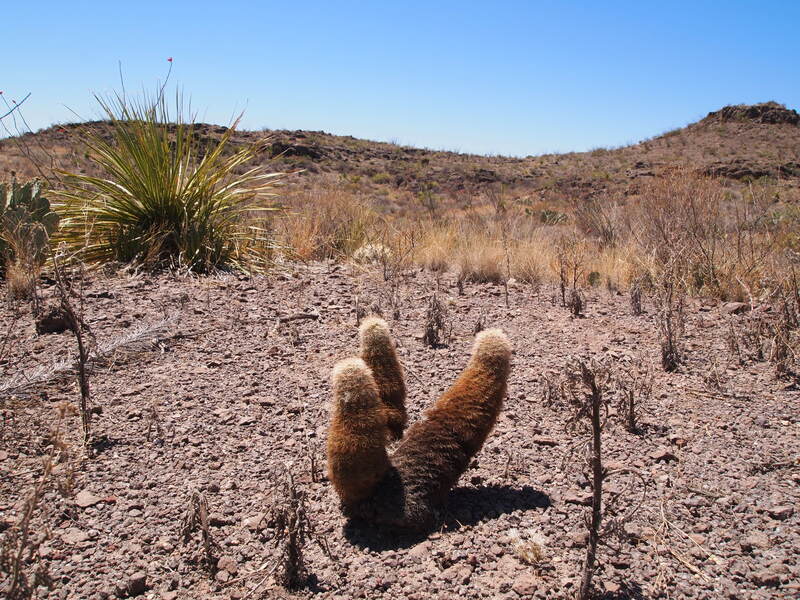 I found them to be taller and a bit more gangly than their Hill Country counterparts but maybe it’s an illusion. By the end of our trip we were both ready for a hearty meal. 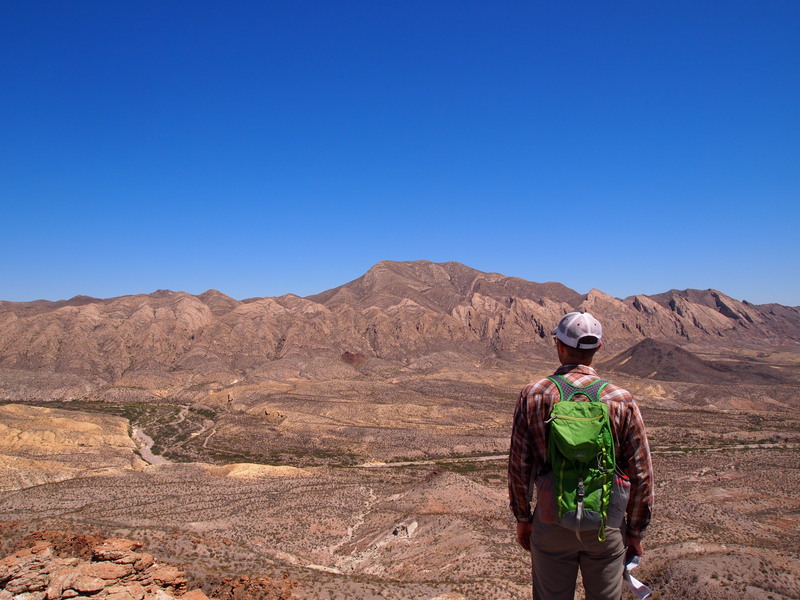 Our time at Big Bend Ranch State Park was outstanding. 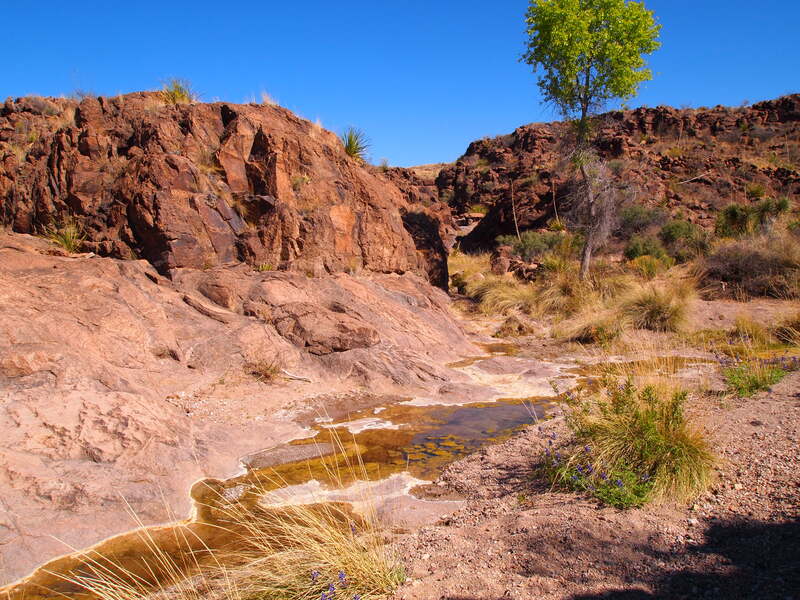 It’s the largest state park in Texas at over 300,000 acres and is often called El Despoblado, or the uninhabited. It’s not a place that many people experience in their lifetime because it takes such a commitment to visit it. However, it’s well worth the effort. It’s a landscape full of beauty, magic, and true freedom. Out here, self-reliance is the crux of existence and that’s what makes this park so appealing.